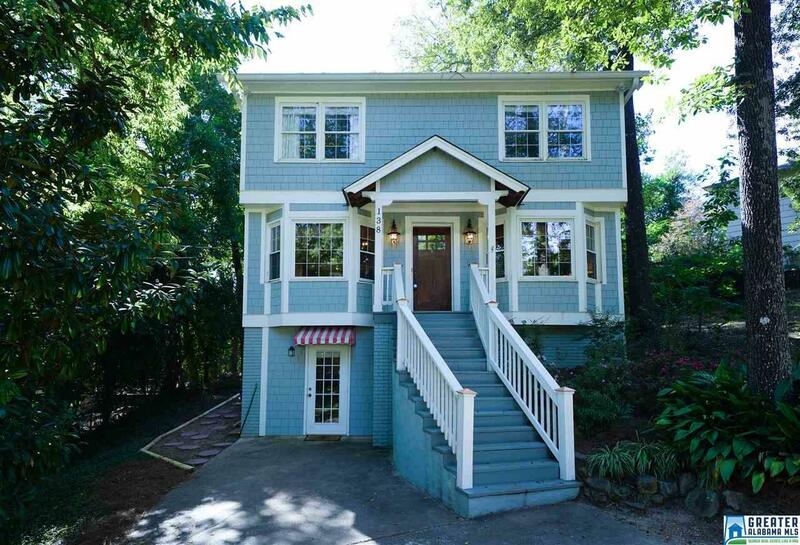 138 Cherry St, Mountain Brook, AL.| MLS# 832509 | Richard Jacks UABLIVING.com 205-910-2297 | Birmingham AL Real Estate | Contact us to request more information about our Homes for Sale in the Birmingham AL area. Prestigious Crestline Home located in the highly sought after Crestline! Main level includes large living room, beautiful open kitchen with stone countertops, tile backsplash, large breakfast bar w/pendant lighting, new dishwasher plus it opens to the great size keep room with brick fireplace that is perfect for entertaining.From the keeping room you have access to the huge beautiful screened in porch w/fans & sun lights.Also a large open deck. Relax overlooking the amazing backyard w/custom treehouse/playground w/plenty of room for everyone.Main level also includes powder room and a formal dining room currently being used as an office and Gorgeous Hardwoods.Upstairs includes master bedroom with updated master bath,two large additional bedrooms and full with new updated countertops and under mount sink.The basement features large bonus room w/built in cabinets,new carpet and separate entrance.Large laundry room and huge room for storage. Roof within 4 yrs, Siding 6 yrs, 2 zoned HVAC.